Stand still so others can Know the God You serve. We live in a world where there are so many laws. And some of the laws and beliefs of the world are not in agreement with God’s word. So as christians we must stand strong on our faith and believes, stand still on God’s promises and not conform to the ways of the world. Daniel, Shadrach , Meshach and Abed-Nego makes us understand the importance of standing strong even in a time where the laws of the world are contrary to God almighty’s word. King Nebuchadnezzar had a dream and asked the astrologers, wise men and magicians to tell them the dream and also interpret the dream. If they were not able to do so, He would kill all the wise men including Daniel, Shadrach, Meshach ,Abed-Nego, the astrologers and magicians. Nobody was able to tell King Nebuchadnezzar His dream and interpret it for Him. But God revealed the dream to Daniel in a Vision and gave Daniel understanding and Revelation of the dream. Before God revealed the dream to Him , He seeked God on this issue with Shadrach, Meshach and Abed-Nego. That they might seek mercies from the God of heaven concerning this secret , so that Daniel and His companions might not perish with the rest of the wise men of Babylon. Now Daniel did not give in to fear of what was about to happen. But He seek God. And because He did not give in to fear and depended on God , God revealed the dream to Him. Because He did not conform to the ways of the Babylonians God revealed the dream to Him. Because the God of Daniel is the only true and mighty God , He came through for Him. Because Daniel did not give in to fear and stood , Nebuchadnezzar was able to see and know what God can do. Its not enough to believe, your actions must correlate with your believes. Nebuchadnezzer made an image of gold and asked the nation and governments to bow and worship the gold image, and whoever does not do so will be cast into the midst of a burning fiery furnace. Now Shadrach, Meshach and Abed-Nego refused to bow and were cast into the burning fiery furnace. Shadrach Meshach and Abed-Nego stood strong on their faith and acted in accordance to their believe in God. They did not deny God and conform to the patterns of this world. They stood for God and God came through. They stood for God and God stood beside them. Because they did not conform, God protected them and delivered them from death and they came out of the burning furnace without a spot of burn. Because they stood and did not bow before any other God, King Nebuchadnezzer was able to see for Himself that their God is mighty and is the only true and living God. We must stand strong in these last days. We must not conform to the patterns of this world. Because the world says something is normal does not mean is normal. Because the government and laws say something is normal does not mean is right. If its contrary to God’s word you must stand strong on God’s word and act according to your faith. Don’t bow to the believes of this world when you know its against the word of God. Don’t bow to fornication, Don’t bow to sexual immorality, Don’t bow to abortion. Only bow and worship almighty God not just with your lips but with your actions. God is behind You when you stand. When you stand still others will see for themselves that you serve a mighty God. Others will see for themselves that Jesus is the way , truth and life. You will be a living testimony for others who are conforming to the patterns of this world to see that Jesus is the King of Kings. When you don’t bow and stay strong. When you don’t bow no matter how difficult life gets and stay true to the Lord. God will come through, He will reveal Himself. Your patience will not be forsaken. Don’t bow and be lukewarm. Don’t bow and stay on the narrow road. Don’t bow in seasons when you feel alone. Don’t bow when you are been attacked. 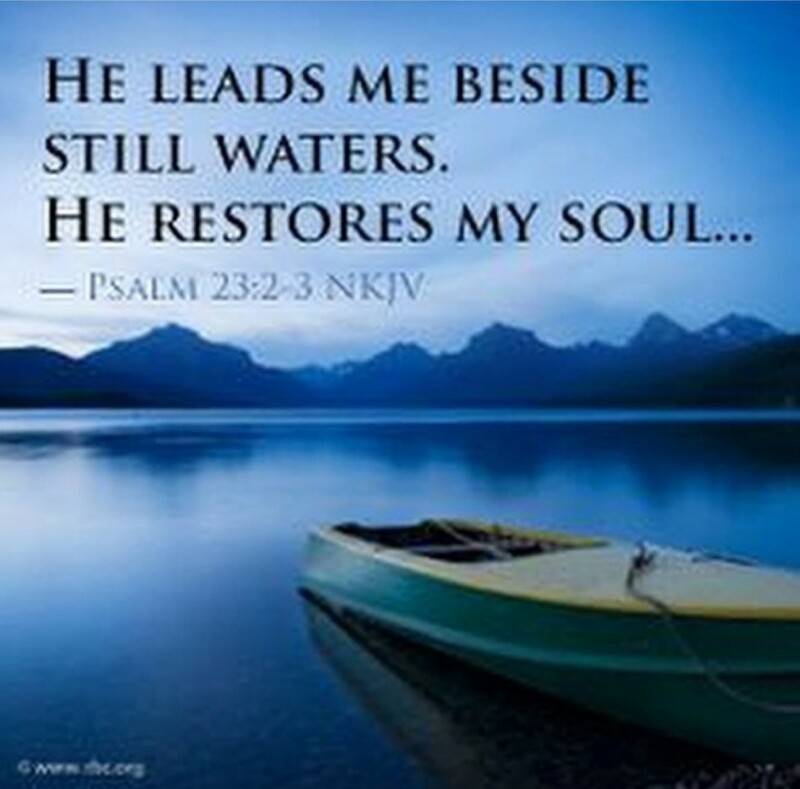 God is faithful , He stays true to His word. No one who puts their trust in the Lord will ever be put to shame. God will come through for You when you stand still. God is faithful . Jacob left His father Isaacs house to run from His brother Esau who wanted to kill him, as a result of taking His blessings, and also to find His wife in His mothers hometown. But on His way there he had nowhere to sleep and found a certain place and laid there with His head on a stone. 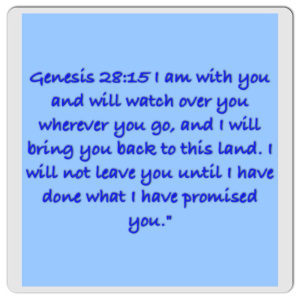 God spoke to Jacob and told Him about the promises and inheritance he would bless Him with. The place where Jacob laid his head was a certain place(an unknown place to Him). Jacob didn’t have a house there, it was just a stone he layed His head on and slept. In the unknown place, but that’s where God spoke to Him. The fact that where you are right now is an unstable place, abusive home, doesn’t mean God is not there.